Heart disease is the world’s biggest killer, and three quarters of all victims live in low and middle income countries, according to the World Health Organization. Cameroon is one such country, yet for its population of 22 million there are fewer than 50 cardiologists, all concentrated in the two main cities, Yaoundé and Douala. Arthur Zang, who lost his uncle to cardiovascular disease, invented the CardioPad to better the chances of Cameroonians with heart problems. Zang’s CardioPad is a tablet that allows nurses and doctors in rural hospitals to examine patients and send the data via a mobile phone connection to a cardiologist in a larger hospital for analysis. 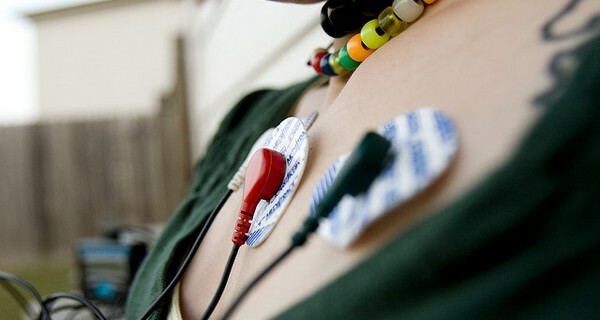 Each CardioPad comes with four electrodes, which are attached to the patient’s chest, and a wireless sensor that picks up the data and transmits it to the tablet. A cardiologist in the city receives the information on a second CardioPad and makes a diagnosis. The results are then sent back to the doctor in the rural clinic. The simple touchscreen interface is easy for health workers to navigate, even with very little training. The device’s robust design makes it ideal to withstand the humid climate, and the six-hour battery means it can continue to run during Cameroon’s frequent power cuts. Already, the CardioPad is in use in a small hospital in the village of Mbankomo, 25 kilometres from the capital Yaoundé. The doctor there is now able to perform around 200 heart examinations per month, and his patients no longer have to make the long trek to the city for their cardiac tests. Zang was the winner of the prestigious Rolex Award for Enterprise in 2014 – the funds from which he is using to produce 100 tablets, 10 for each province in Cameroon. Image ' 11_03_07_14' courtesy of Carling Hale.